I have some AMAZING Wedding Shower Hacks & Ideas for the Bride to Be for you today! 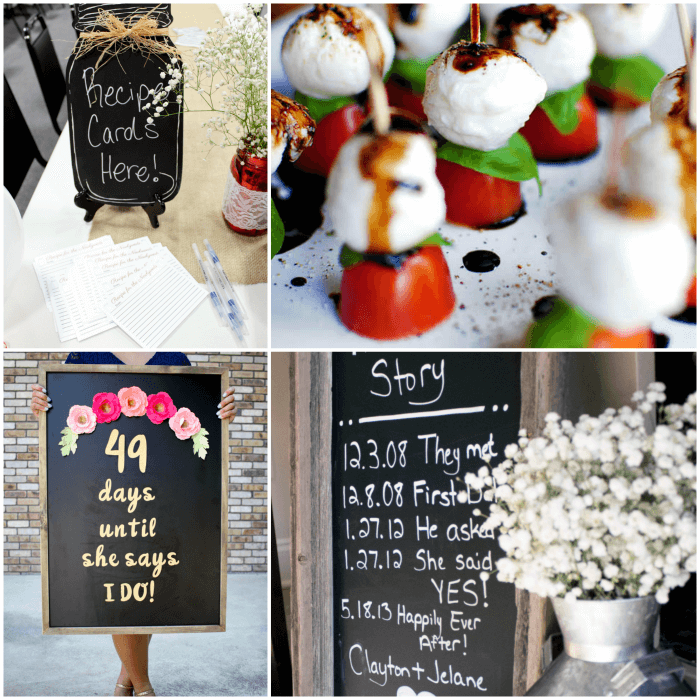 If you’ve got a Wedding Shower coming up, check out these awesome ideas! A fun idea for a wedding shower is to have the bride play “how well do you know your groom” where you get the answeres from the groom prior to the shower and ask the bride questions about the groom, for every wrong answer she has to add another piece of gum in her mouth. A super fun theme for a wedding shower is everyone’s favorite: coffee! Try making these delicious Caprese Skewers with Balsamic Drizzle for the shower, they’re super cute and everyone will love them! Another fun Bridal Shower idea is to have everyone write down their favorite recipes for the newlyweds to use! Have all the wedding shower guests write down a date night idea on a Popsicle stick for the couple to use! You can make a super cute wedding dress out of cupcakes, perfect for a wedding shower! Use a wood pallet to make a photo board with photos of the couple! You can make some super cute chocolate covered pretzel sticks. Make them fun and fancy for the shower, they’re cheap and easy to make! These Diamond Ring Cupcakes are adorable and easy to make!